So, the long-awaited Azure Stack finally has been released to the Integrated Systems, meaning the shipments will start in September. And what to do now? Do I know if Azure Stack will be a good investment? What are the things I can and I cannot do with Azure Stack? Should I connect my platform with Azure or maintain a disconnected mode? I decided to create a few posts with some clarity about what we can achieve with Azure Stack, different licensing models, features that will be available, how the IT model could change with this concept, and some other topics. 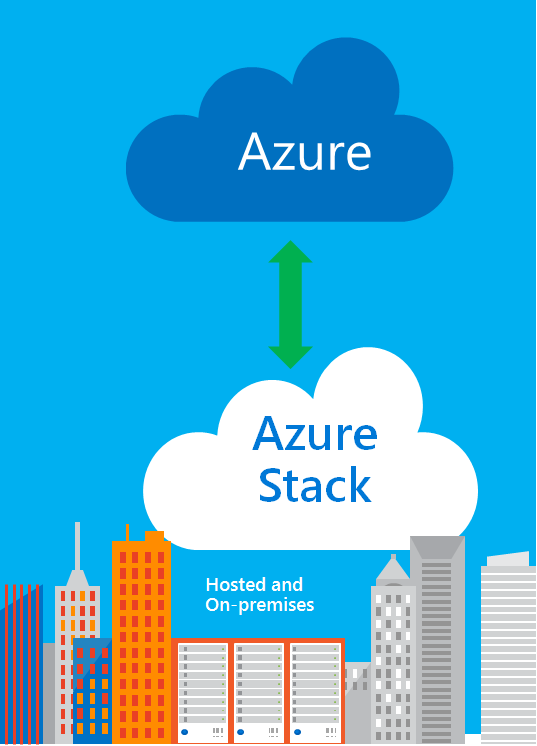 Before getting into specific functionalities, a good start is clarifying regarding the options available to connect Azure Stack to your Azure instance and the alternative on having it completely disconnected. Like we mentioned, Azure Stack main purpose is to act as an extension of Azure in your datacenter, therefore this “pay-as-you-use” model should be the familiar approach for all customers already using Azure. In the Consumption Model, Azure Stack licensing is just like public Azure. Fee for consumption: only pay for services running on Azure Stack. No upfront licensing fees: don’t pay until you use the service. The only upfront cost will be the hardware from the Integrated System. Unified billing, one invoice with public Azure. Available in Enterprise Agreement (EA) and Cloud Solution Provider (CSP) channels. Enterprise Agreement (EA) deployments of Azure Stack consume same monetary commit as public Azure. 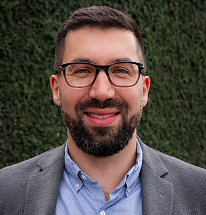 “Monetary commitment” is a concept associated with Enterprise Agreements (EA), when there’s a certain amount of money allocated in the contract to use in Azure. That money can be used in different type of services as credits, and consumed with the “as-you-use” concept. 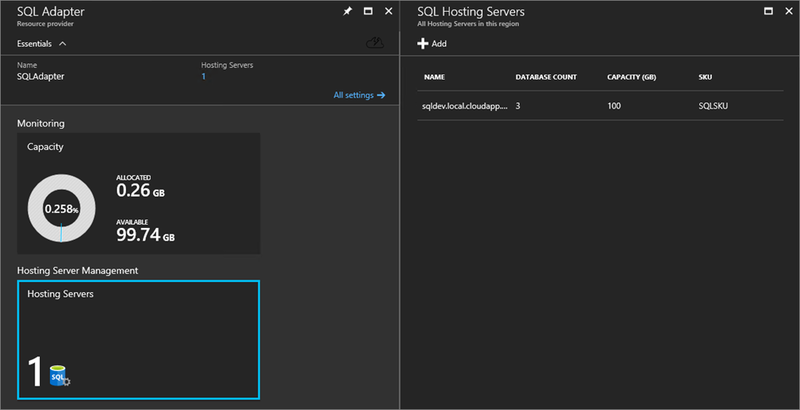 Before talking about SQL and MySQL functions in Azure Stack, it is important to understand what a Resource Provider (RP) represents in Azure. 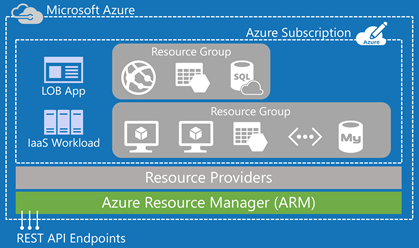 This concept encapsulates an Azure service that supplies the resources you can deploy and manage through Azure Resource Manager (ARM). Basically a Resource Provider is responsible for creating resources of a specific type, for example the RP “Microsoft.Compute” supplies the virtual machine resource; the RP “Microsoft.Storage” supplies the storage account resource. Each resource provider offers operations for working with the resources that are deployed. With these platforms customers must provide the licenses (for MySQL licenses only apply with certain specific products). Each Resource Provider require two virtual machines: One VM dedicated for RP services and the second VM with SQL / MySQL platform installed (Hosting Service). No cost is associated for the virtual machines running the RP. The costs that apply are for the data storage (blob) and the SQL / MySQL VM. These Resource Providers are not available by default, you need to deploy and enable them. As you can see, these PaaS services are presented by virtual machines, therefore you should actually consider these Resource Providers as Infrastructure as a Service (IaaS) platform. SQL Server virtual machines (working in PaaS mode as a RP or not), always require to have an existing license. Some months prior of the announcement I reflected some rumors that were pointing to an Azure Stack offering with a fixed-fee approach, disconnected from public Azure. And eventually came true, Microsoft confirmed that the “Capacity Model” will not have consumption based billing, but a fixed cost. No usage metering or connection to public Azure. Only accessible through Enterprise Agreements (EA). Fixed fee, annual subscription: based on number of physical cores with unlimited IaaS for licensed cores. It will not provide perpetual rights, only annual agreements based on EA. Separate transaction from Azure: cannot use monetary commit, it will have different billing. 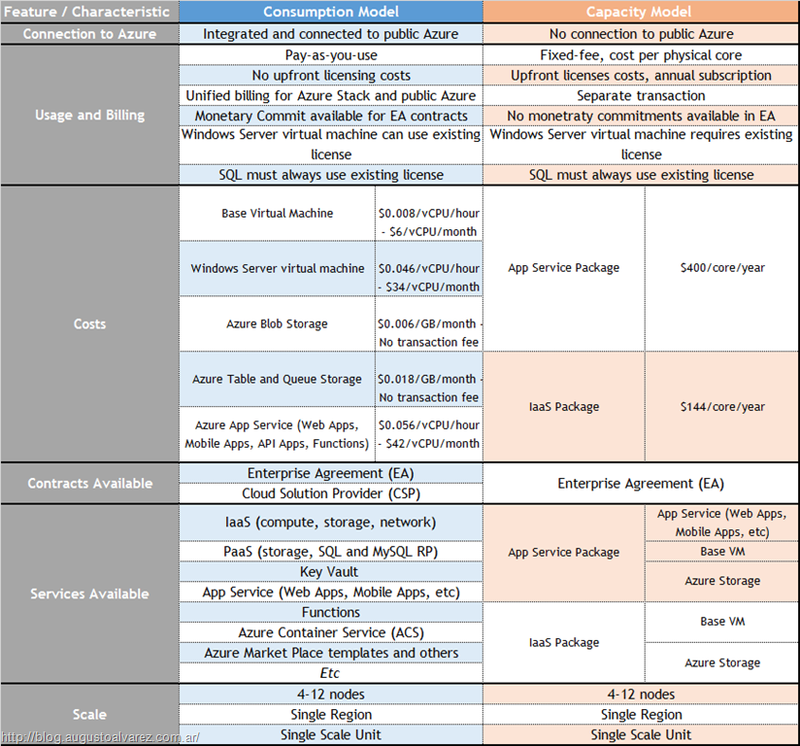 There will be two packages available to acquire using the capacity model: App Service package and IaaS package. 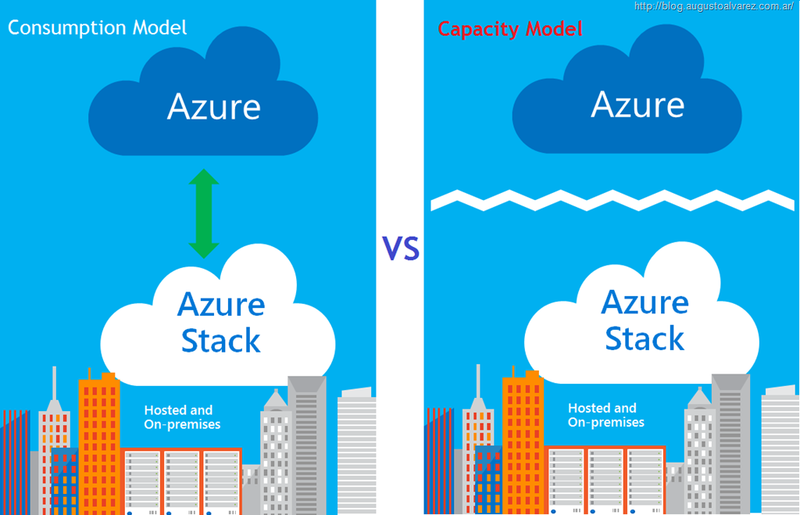 Microsoft prefers and recommends to avoid the capacity model and use Azure Stack on consumption basis. No surprise there. 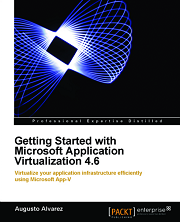 Includes App Service (Web Apps, Mobile Apps, API Apps, and Functions), Base VM and Azure Storage. All physical cores must be licensed in the appliance. 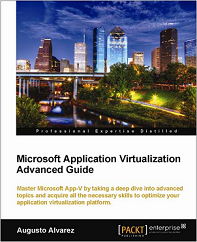 Windows Server and SQL requires existing licenses (bring your own license). Includes Base VM and Azure Storage. To review a more detailed view about services and features for the Azure Stack Consumption Model, check my previous article: “Azure Stack Is Here! Development Kit (Single-Node) Free Download Available and More”.